Our Best Homemade Meatloaf recipe will satisfy the most discerning meatloaf lover. You can make one large loaf or 4 individual loaves. This is an individual portion. 8 cloves of garlic minced fine w/ kosher salt, approx. 1 tsp. Combine the meats. Saute’ the onion, peppers and garlic, just until they are slightly sweating. Scrape from pan and let cool in a container. After cooled completely add to the meat mixture and combine. 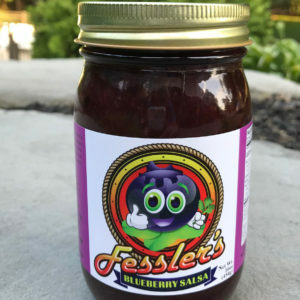 Place in a glass loaf pan and top the loaf w/ 1/4 cup of Fessler’s Sauce. 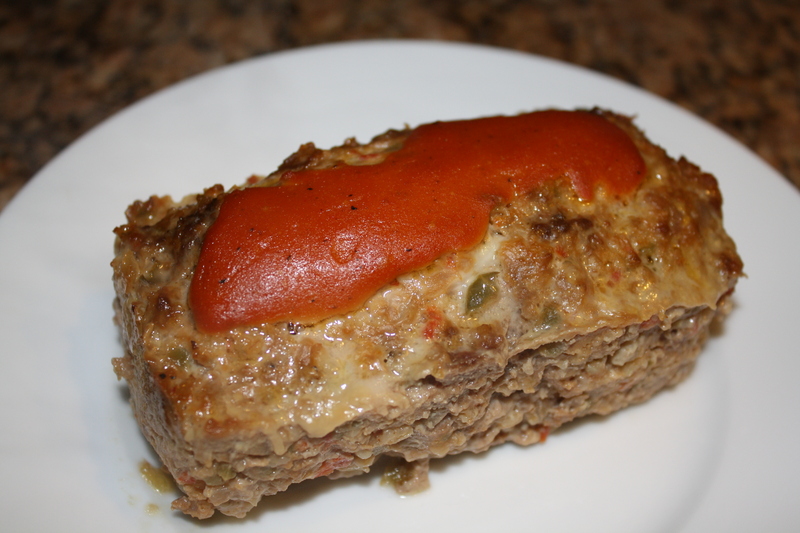 Bake in preheated 350 degree oven for about 1&1/2 hours or when the temperature of the meat loaf reaches 160 degrees. Use a meat thermometer for the temperature test. Remove from oven and let rest for about 10 minutes. Slice and serve. Yum!